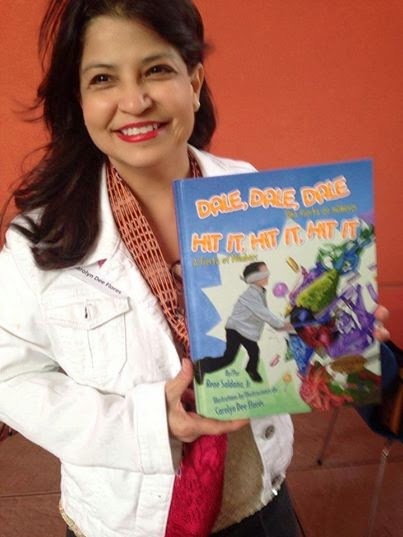 Watch what happens when Carolyn Dee Flores reads her picture book - "Canta Rana Canta/ Sing Froggie Sing" - to a class of 4 yr. olds from a Spanish Immersion Preschool in Houston for El Día de Los Niños. She sings "Dona Nobis Pacem" (for Froggie's voice) - and out of the blue, the preschoolers start singing back! 4 year olds, well, they're amazing! Post by My Story - thestorytellingplace.com. 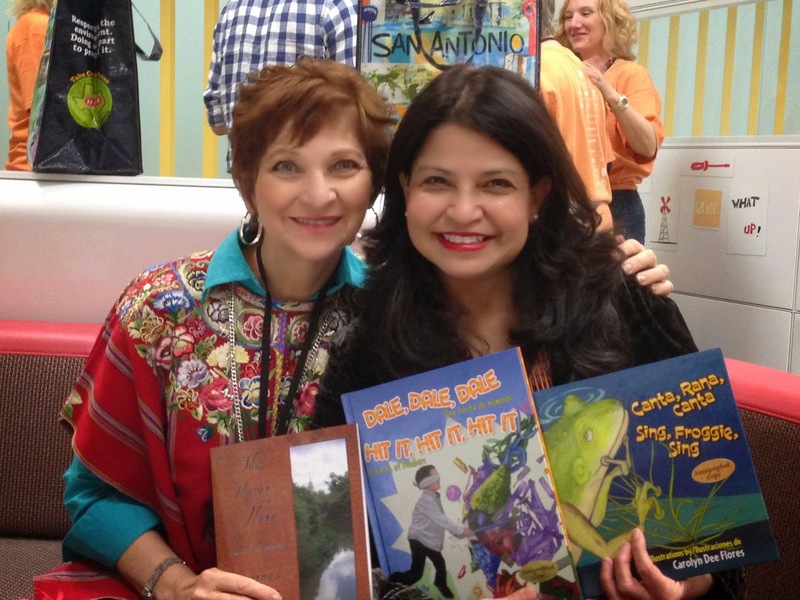 San Antonio Book Festival - FROGGIE COMES ALIVE! 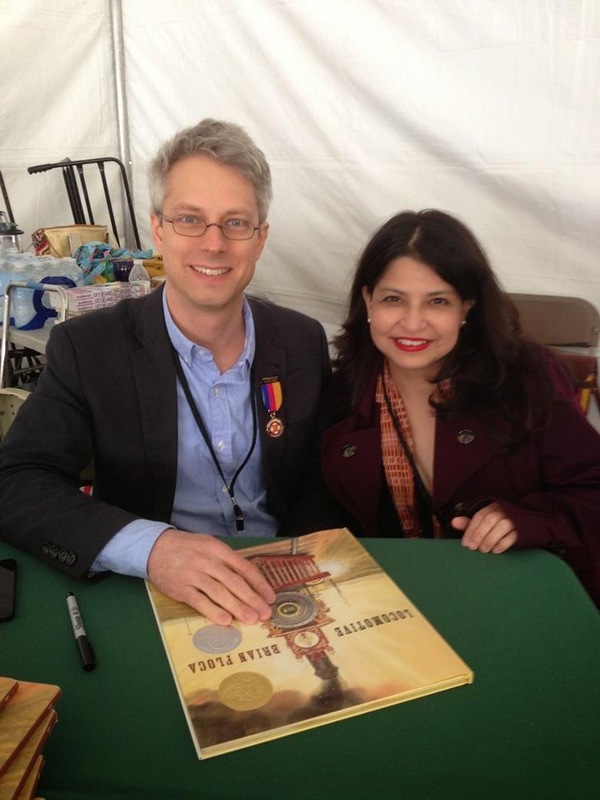 Here is an interview I did with some students Saturday morning at the festival. They were so professional! 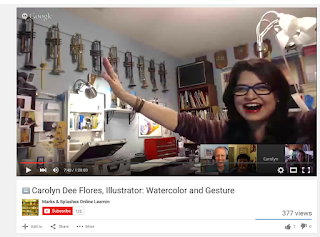 Amazing time with this year's Caldecott medalist Brian Floca! Can you believe? I think yesterday was my lucky day! He is truly inspiring! What an honor! With the First Ever Poet Laureate of San Antonio - legendary Carmen Tafolla! 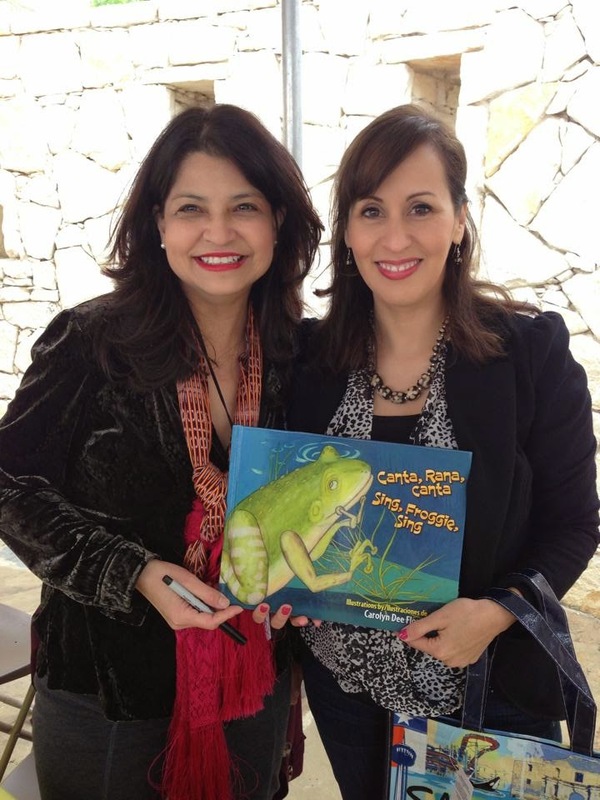 Wow, a picture of me with fantastic author Angela Cervantes - Writer at the San Antonio Book Festival yesterday. 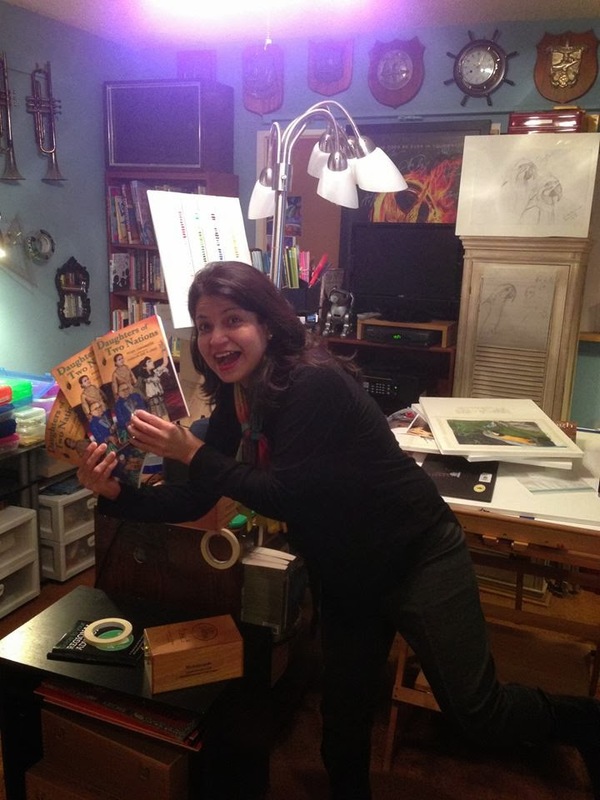 She wrote the great multiple award winning book - GABY, LOST AND FOUND! Love it! Its Official!! 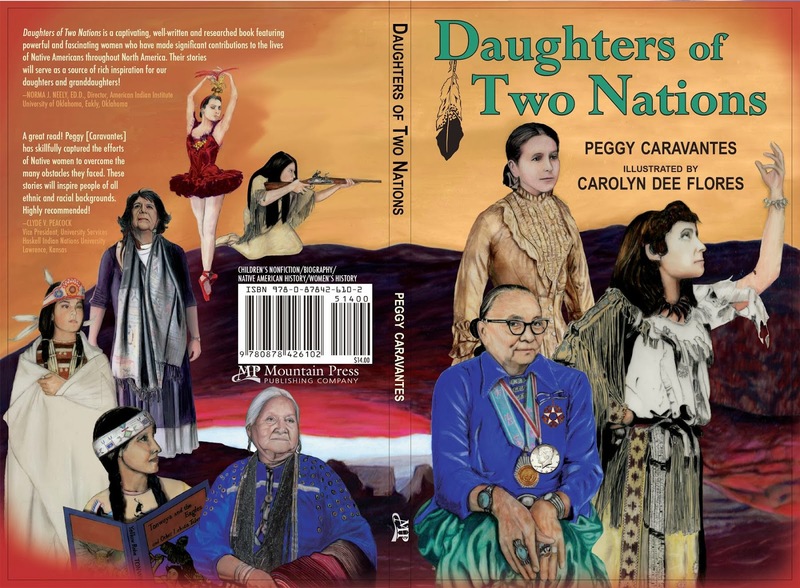 Book Release DAUGHTERS OF TWO NATIONS!! 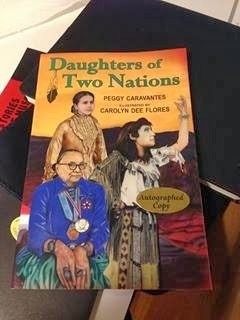 Very excited to present the biography DAUGHTERS OF TWO NATIONS written by Peggy Caravantes and illustrated by me, about nine amazing Native American women from various periods in U.S. history. Illustrated in Prismacolor colored pencil. I am extremely proud to be associated with such a beautifully written book. These nine women are important, dignified, and ground-breaking. Many thanks to Mountain Press, Gwen McKenna (editor) and Peggy Caravantes. 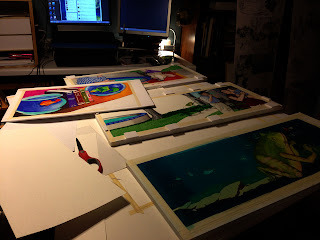 Tonight, I am prepping original artwork from the book "Canta, Rana, canta/Sing, Froggie Sing" for shipping to ABFFE's art auction at BookExpo America in New York City, May 29, 2013! It's such an honor to be asked. ABFFE stands for American Booksellers Foundation for Free Expression. The 19th annual Children's Book Auction at BookExpo America will be hosted by Jack Gantos and Lauren Myracle. 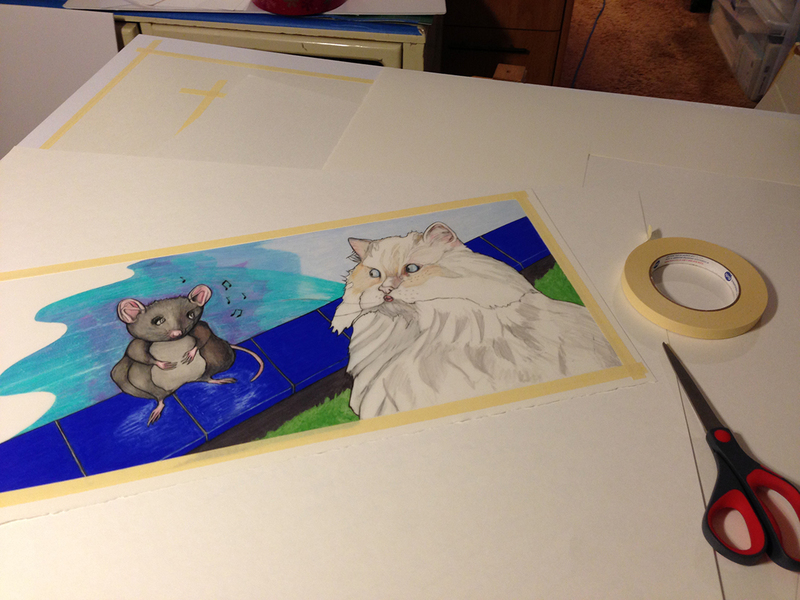 You may preview the art here. Support Freedom of Expression! BIG ANNOUNCEMENT! !The Mazza Museum for International Art From Picture Books in Findlay, Ohio - has requested a piece of original artwork from my picture book "Sing, Froggie, Sing/Canta, Rana, canta" published by Arte Público/Piñata - to be added to their permanent museum collection!! This is an unbelievably big moment for me in my career. The list of illustrators included in the Mazza collection is mind-boggling! So humbled and honored. Here is a picture of the studio as I prep artwork for shipping tomorrow! 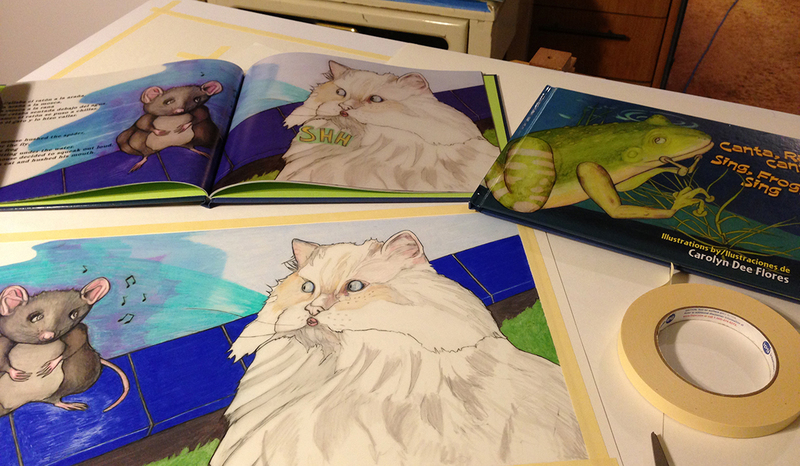 Prepping Froggie Drawing For Trip to Mazza Museum!